Brown Butter Apple Crumble - Made It. Ate It. Loved It. Oh man this dessert is amazing!!! The browned butter and crumb topping it just amazing! 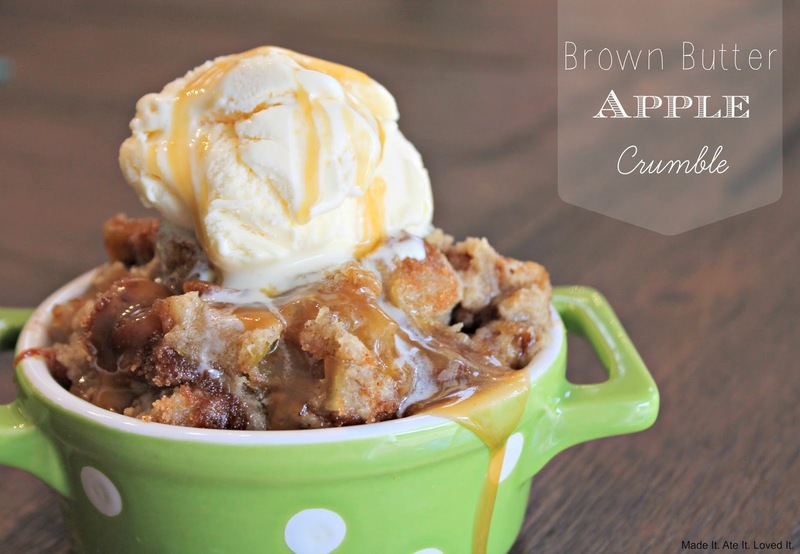 The perfect warm apple dish if you ask me! Plus it is very very easy! The people eating it won’t realize how easy it really was to make! They will be too distracted by how yummy it is! Preheat oven to 350 degrees F. Grab a 9×9 baking dish and lightly grease. Place chopped apples at the bottom of the dish. Sprinkle on sugar, cinnamon, nutmeg, and flour. Stir together. In a saucepan melt butter. Whisk until butter begins to brown. Remove from heat and then pour into a mixing bowl. Grab the crumb “cake mix” (don’t add the cinnamon topping yet) and slowly add into the browned butter. It will begin to make a crumbly topping. 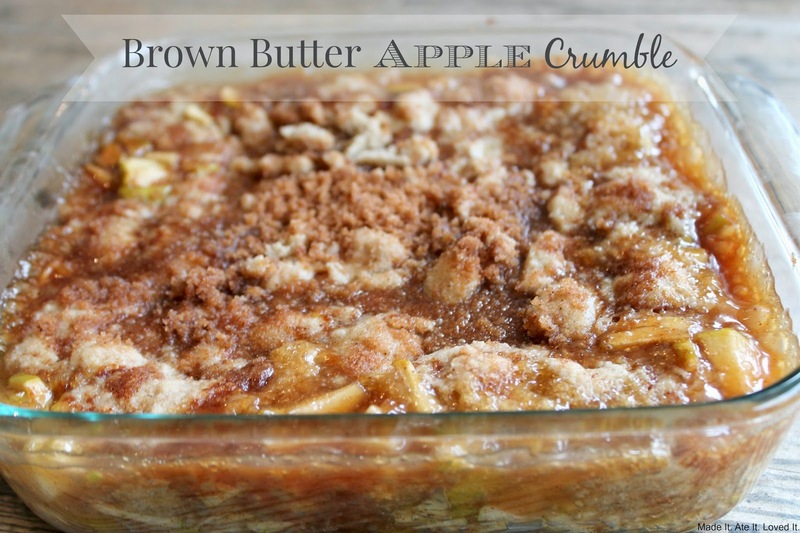 Take small amounts of the crumb topping and place over the apple mixture. Then pour over the cinnamon topping and lightly mix. Bake for 40 minutes or until the sides start to bubble and the crumb topping begins to harden. Remove from oven and let cool for a little. Then add a heaping scoop of vanilla ice cream and drizzle with caramel ice cream topping! Previous ArticleThe BEST Copycat Rubio’s Fish Taco Recipe!